The Leap will offer some of the Kinect magic to the PC – and that’s only the beginning. Today Leap Motion introduced its flagship product, a tiny, $70, motion sensor device that makes small screens hands-free devices. The target here is to give laptop and desktop monitors Kinect-like response, making them more pliable, human-friendly machines. This device has a lot of applications and for the price point of only $70 it’s a steal. I can see that there will be a day when the mouse and keyboard become obsolete and everyone use some kind of motion enabled device to do everything you do now. This could also be used to allev iate carpel tunnel syndrome because your hands will just be up in the air not resting uncomfortably on the table. With more devices using touch screens adoption of devices like this will most likely be accepted from the get go. User experience is the name of the game and this little device has loads of it. This reminds me of that Tom Cruise movie, Minority Report, with all the head up monitors and heads up keyboards. This shows that the future is just around the corner. Can’t wait to see how this develops. 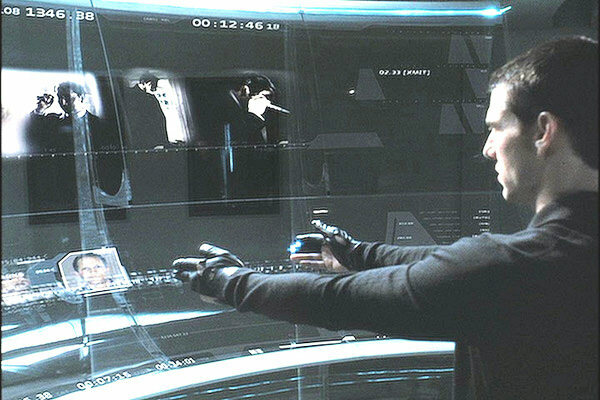 This entry was posted in Video Games and tagged Kinect, Leap, LeapMotion, Microsoft, Minority Report, Motion control, Motion detector, Personal computer, Tom Cruise, USB. Bookmark the permalink.